"The onslaught of the Chinese tourism machine has most definitely taken its toll on the kingdom at the top of the world, and all-inclusive package tours abound in Lhasa. Tourists pay exorbitant sums to be whisked around the province in Land Cruisers, often by Chinese drivers just as new to Tibetan culture as their clients. For independent travelers there are other more rewarding options available and Lhasa is just a few days hike from a 'real' Tibet adventure." I did a story recently for a website called TransitionsAbroad on independently planning a trekking adventure in Tibet. In light of China's recent violent crackdown on protests there, it's probably not even feasible to go at this very moment. 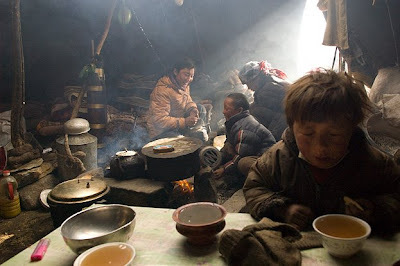 If nothing else, though, it should give some insight into why the Tibetans deserve better. It is shame that China's recent violent crackdown on protests have curbed travelers. Tibet is a wonderful adventure spot that is unique only to the region.